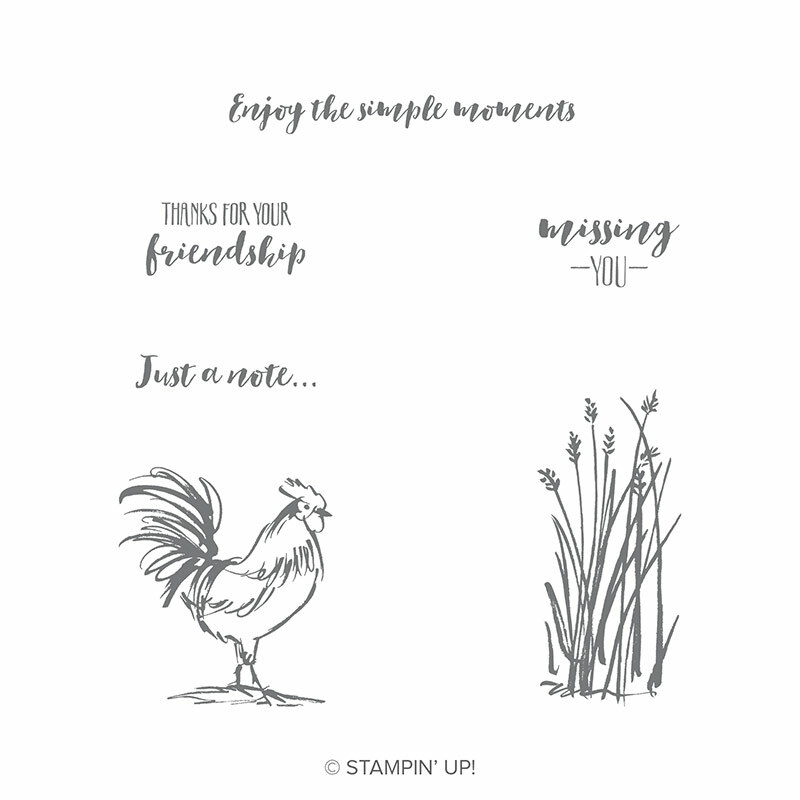 The Home to Roost stamp set is part of Stampin’ Up! Sale-a-bration promotion. That means with a $60 order you can get this stamp set for FREE. 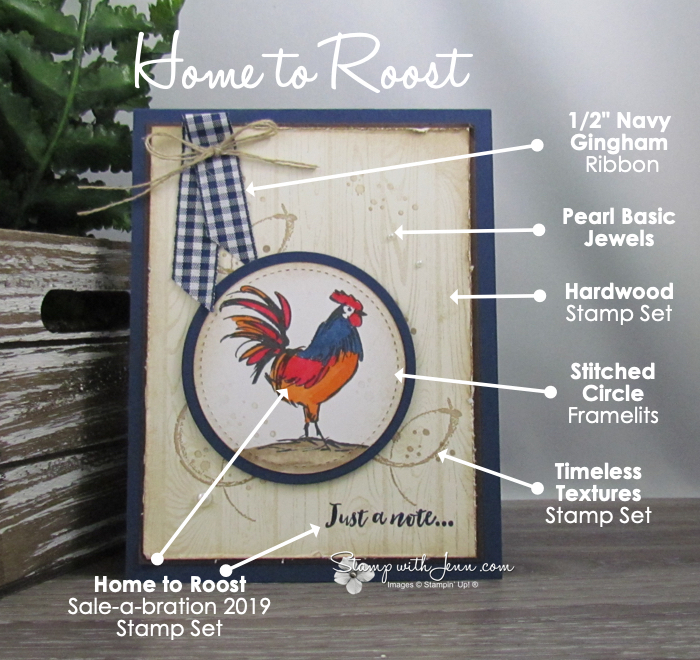 The Home to Roost stamp set has several lovely sayings and this rustic looking chicken. 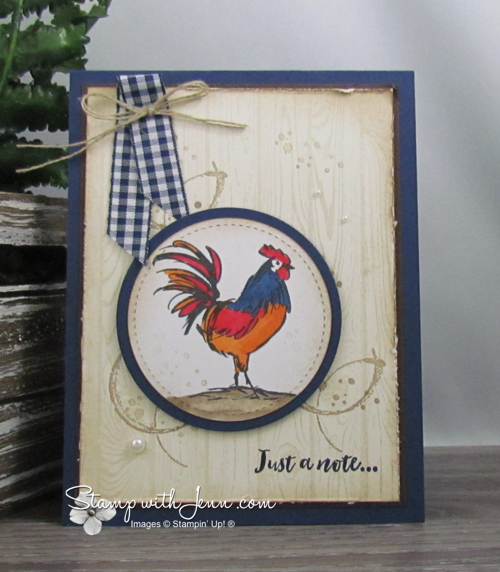 I got this card as part of Demonstrator card idea swap and I love the pairing of the rooster with the rustic background made using the Stampin’ Up! Hardwood background stamp and the Timeless Textures stamp set. The edges of the card are also roughed up with a pair of scissors and sponged to add to the rustic effect. The little touch of Night of Navy Gingham ribbon also adds to the rustic country feel of this card. See all the products on this card at the end of this post. The rooster has been coloured with the Stampin’ Up! alchohol Blends markers. You can read more about the Blends here. It makes for a vibrant image that really pops on the card. 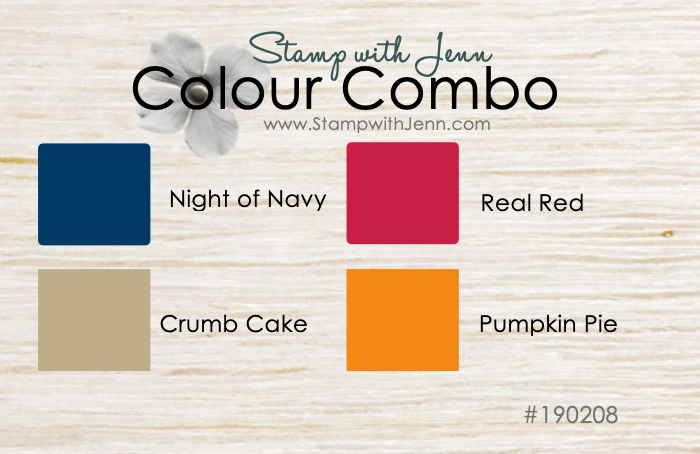 In fact, I think it is also the colour combination of the Night of Navy paired with the bright orange and red. I can see using this colour combination again in the future, especially for masculine cards. You can see other colour combos that I’ve put together here on my Pinterest Board. You can read more about Sale-a-bration here and how to get the Home to Roost stamp set here. And check out one of my other favourite Sale-a-bration stamp sets in this post. 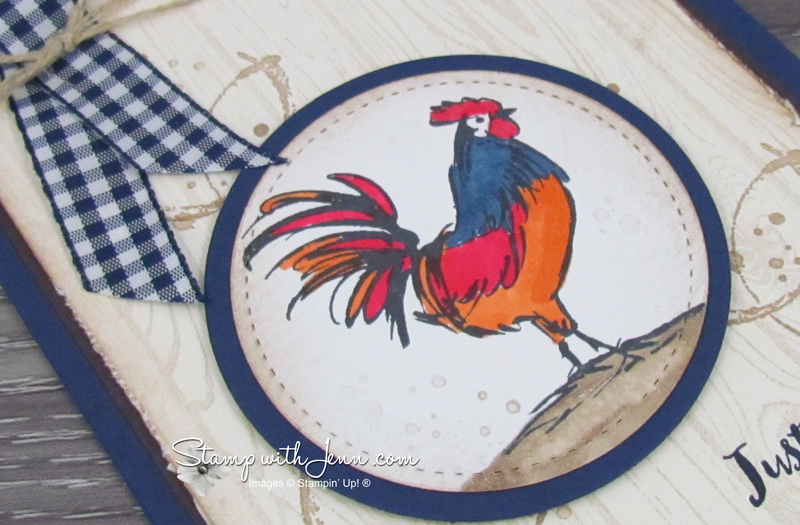 I’ll be sharing another rooster card using the Home to Roost stamp set next week of my website at www.StampwithJenn.com. Be sure to come back and check it out.